Was this show terribly different than the two above shows? No. Many of the same things can be said but each concert experience is of its own. The crowd was very good for this show, I think the best crowd yet for these two bands getting together. Consistent with the first two shows, the Gastown Lamps would play first they would also play to the bigger audience on this night. At the end of the evening they would put on the better set as well. The straight forward three piece St. Joseph band would practice pairing its crunchy guitar with a solid rhythm section to pound out bluesy/funk numbers. A band that plays this type of music is actually a little bit better when they aren’t 100% tight. Five or six songs into their set they seemed to loosen up a bit and become a little more jammy. 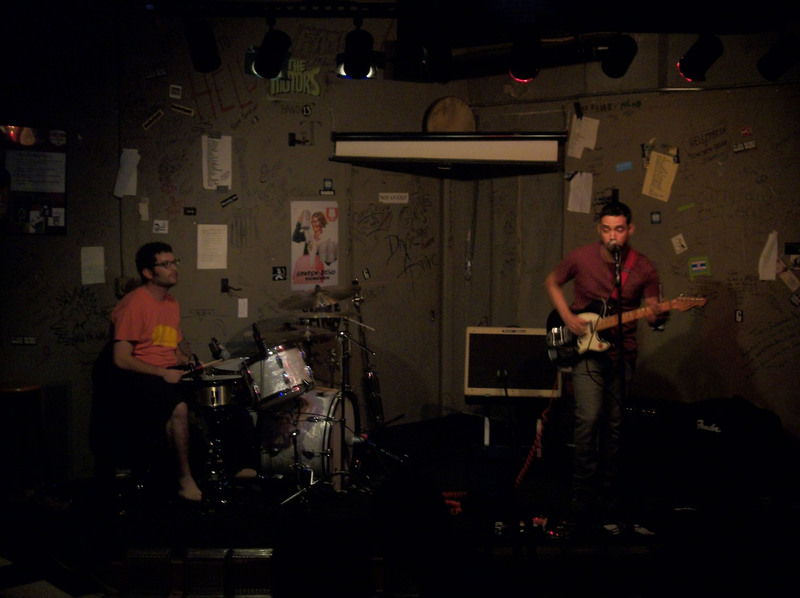 The Gastown Lamps at the Cafe Acoustic on 8/18/12. The band is still very young in their career playing together so each show displays how they are evolving. They shamelessly trotted out several new songs and it was evident that the new stuff is a little different than the original batch of songs. The addition of a bass player may have opened a few opportunities for the band that they never had before. The band has a ZZ Top-esque knack for starting songs which is very cool. If you listen to a ZZ Top record just listen to the first 10 seconds of each song and you’ll hear what I mean. The beginnings each have unique guitar licks that set the tone for the song. See end of article for The Gastown Lamps setlist. The Factory Workers would setup their stage show next to deliver much of the same style of music. Between sets from the two bands seemed unusually long and I’m not sure why, there didn’t appear to be any issues with soundcheck or the sound in general (which is status quo for the Cafe Acoustic.) This allowed the audience time to consider leaving and many of them did instead of waiting around. 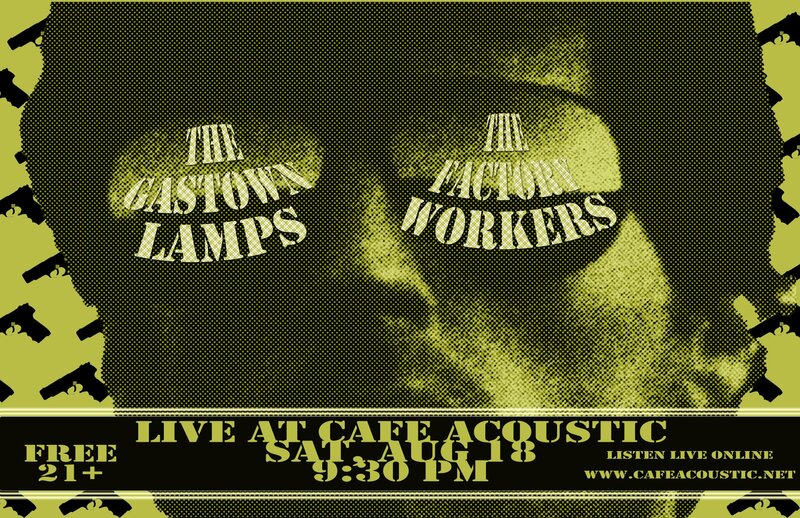 The Factory Workers at the Cafe Acoustic on 8/18/12. The Factory Workers turned up the volume for their set. Many people who liked the band and wanted to hear them were driven from the room by the ear-bleeding wall of sound. Several people were transplanted either to alley out back or the front room, not necessarily because they didn’t like the music, it was simply too loud. By the stride of their set they were playing to a third of the audience that The Gastown Lamps had played to earlier in the evening. The Kansas City two man band would have no problem making more noise than the three piece band that preceded them. The drumming is loud and will make your head rattle and the guitar is cranked enough where it buries the vocals to the bottom of the mix. If you aren’t familiar with the songs it is easy to get lost in the wall of sound. They still have the solid grooves and strong songs to keep an audience paying attention though. Their sound hasn’t been refined much since the first time I heart them 10 months ago. They have stayed with the same brutal attack of raw guitar and piercing drums that makes them who they are. 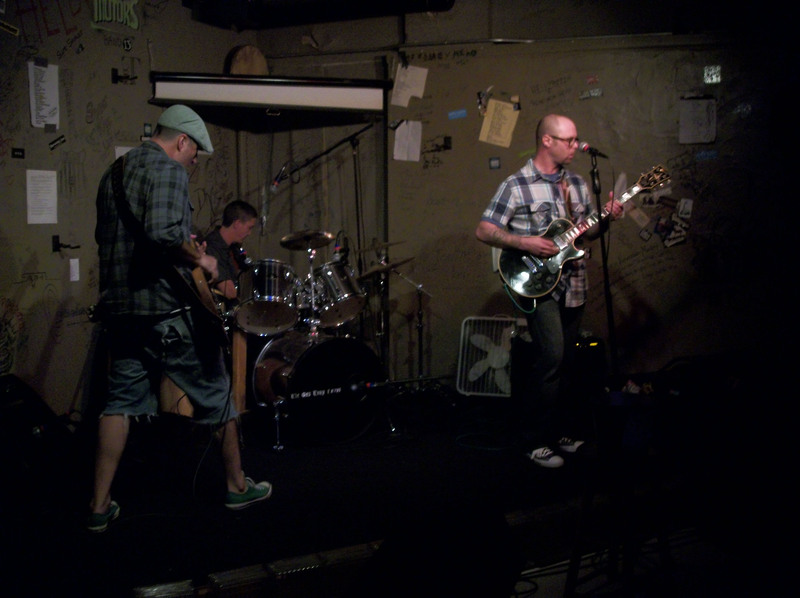 This entry was posted in Concert Review and tagged 8/18/12, Cafe Acousitc, Gas Town Lamps, Gastown Lamps, Kansas City, MO, Saint Joseph, St. Joseph, The Factory Workers, Todd Ward. Bookmark the permalink.